One of the many joys of living on Kangaroo Island, and in particular on its western end, is to witness the delightful annual display of wildflowers. From late winter onwards, as the days grow longer and warmer, the heath-land and forests burst into colour. 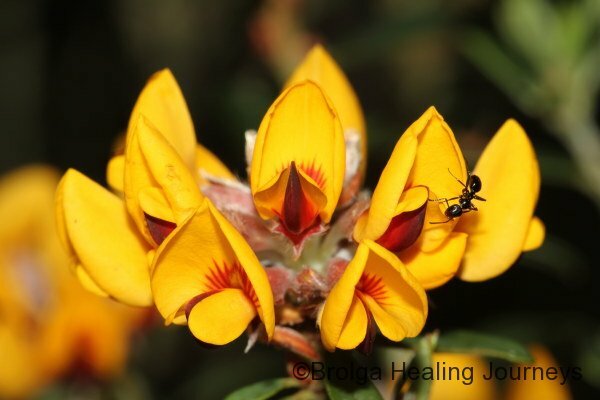 The greatest variety of flowers obviously occurs in the Spring, but there are in fact some native plants in flower on the island all year round. 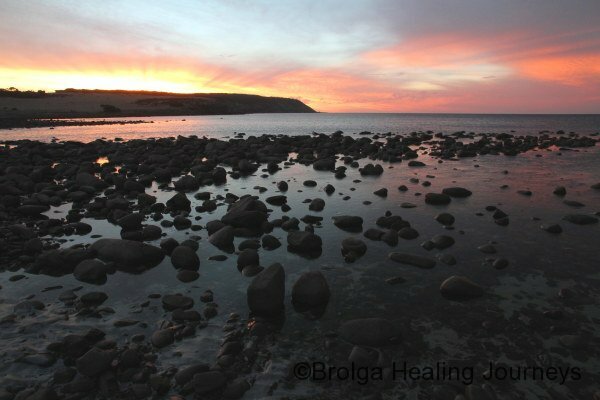 Winter is the quietest time of year for tourism on Kangaroo Island. Considering the often wild weather, chilly temperatures and frequent rainfall, that comes as no surprise. But the very conditions that keep visitors away also create an ideal environment for the profusion of fungi found on the wilder western end of the island. 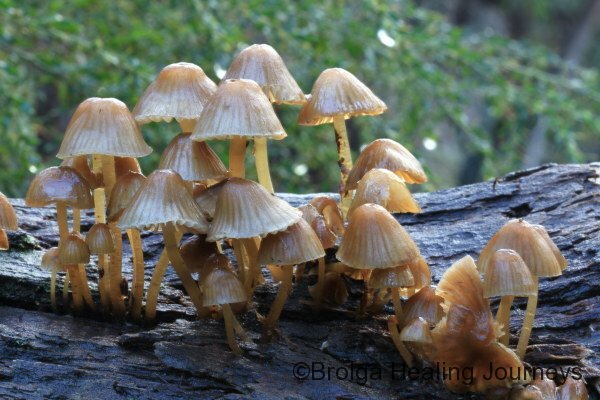 The rains come and so do the fungi, springing up in forests, along creek lines and around paddocks. 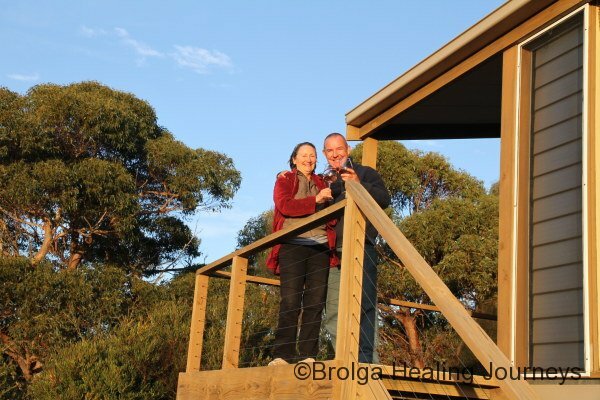 As our first winter on Kangaroo Island draws to a close, it seems a good time to report on our early experiences as ‘Islanders’. The weather today is wild, with clouds whipping across the sky, raining one minute, bright sunshine the next. And that is quite appropriate given that winter-long the weather has been changeable and dramatic. Melbourne prides itself on delivering four seasons in one day, but I think it has nothing on KI. One of the first lessons we learnt was that a cloudless sky and bright sunshine did not mean you could go exploring across the property without a rain-jacket. In the blink of an eye, the clouds roar up, you’re blasted by driving rain, then it clears just as quickly to make you wonder how it was that your clothes had become drenched. Well, we made it back to Kangaroo Island. 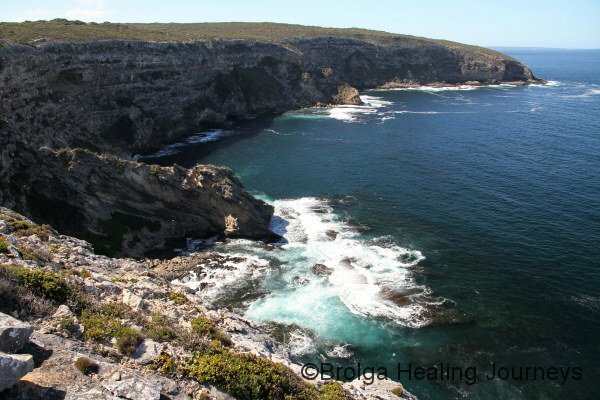 Our first visit to Kangaroo Island, in 2011, was all too brief and had left us longing for more, and after several memorable months on some of the AWC’s inland sanctuaries, we thought some quality time on the coast was in order…and surely there’s no more beautiful coastline than KI’s. On this occasion we spent five weeks on the island, long enough to revisit places we loved during our first visit, explore many of the areas we missed out on the first time around, and even buy some real estate (more about that later). 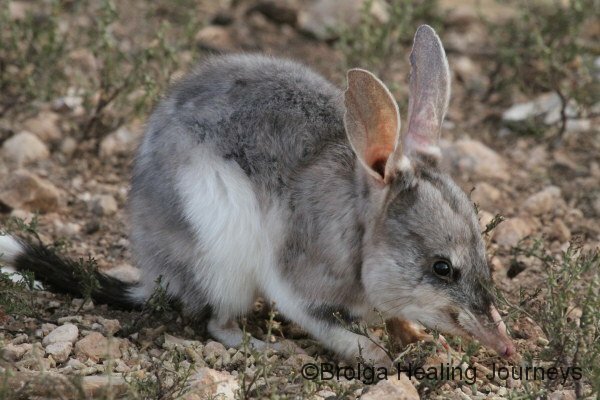 We recently enjoyed a three week stay as volunteer rangers at the Australian Wildlife Conservancy’s (AWC) Buckaringa Sanctuary, set amongst the Flinders Ranges. 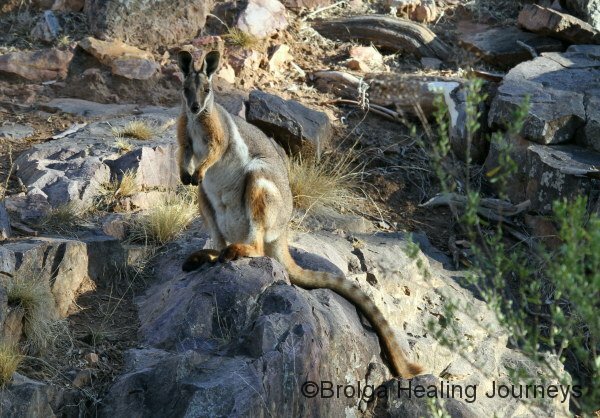 The sanctuary and its surroundings are breathtaking, encompassing rolling hills, rugged escarpments and gorges, sweeping valleys, creek beds lined with River Red Gums, and an ever-changing vista of colour and light …and, of course, plenty of wildlife, including the rare and beautiful Yellow-Footed Rock Wallaby. 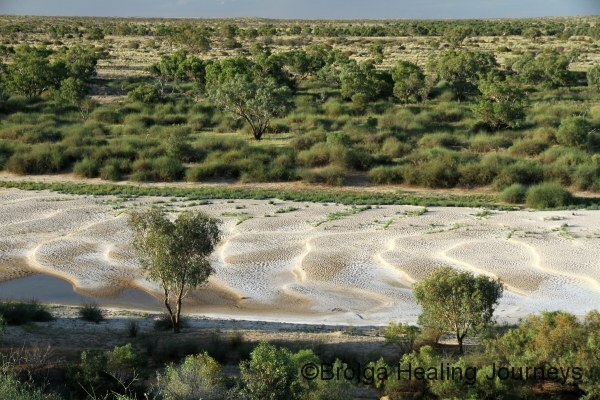 We had planned to visit the Australian Wildlife Conservancy’s Kalamurina Sanctuary earlier in 2011, but were thwarted by the weather and other commitments. So when we were offered to act as caretakers on the sanctuary for five weeks over the Christmas/New Year period, we jumped at the opportunity. The term ‘iconic’ is overused nowadays, but is completely appropriate to the Birdsville Track. The Birdsville Track is probably Australia’s best known and most loved outback track, with a rich history and almost mythic status. 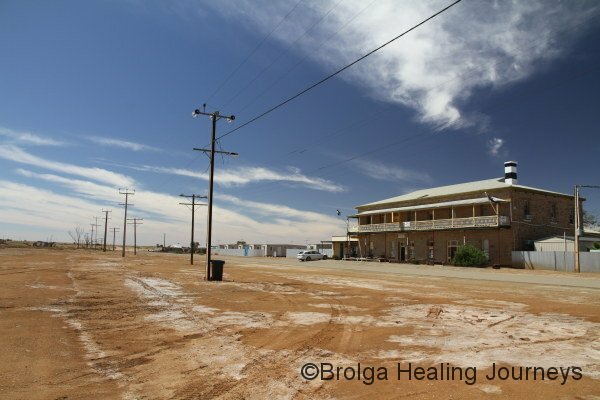 The 500km plus track joins the small town of Marree in outback South Australia with the town of Birdsville in outback, south-western Queensland. We recently completed four months caretaking at Yookamurra Sanctuary, another of the Australian Wildlife Conservancy’s (AWC’s) sanctuaries. It was a wonderful experience for us. 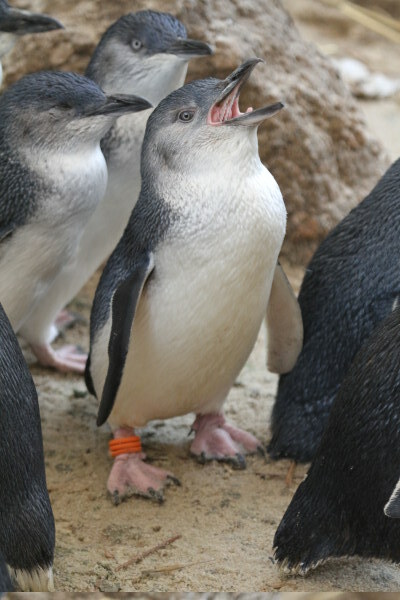 At long last we visited Kangaroo Island (KI). In short, we absolutely loved it. Forget what you might have heard about the expensive ferry ride to the island (which is reputedly the most expensive ferry ride per kilometre in the world) and cost of travelling around and staying on the island (which isn’t so bad), it is well worth all the effort and expense. Our only complaint was that we weren’t there for long enough. We stayed just over a week, giving us enough time to sample most of what the island has to offer, but leaving us wanting more and vowing to return. We were blessed with near perfect weather during our stay, allowing us to fully appreciate the beauty of the Kangaroo Island coastline, from the wild south which bears the brunt of the Southern Ocean, to the more sheltered and serene north. Posted April 22, 2011 By admin and has 2 comments. We had recently visited South Australia’s Eyre and Yorke Peninsulas, so it seemed only fair to visit the Fleurieu Peninsula next, to complete the set. To be honest, we had several other reasons to visit as well; we were getting some maintenance done on our camper trailer with its manufacturer in Adelaide, we couldn’t resist another visit to the McLaren Vale region and its wineries, and we were heading towards Kangaroo Island, and the mainland ferry terminal is at Cape Jervis on the south western tip of the Fleurieu.